Good bye Rome Conference 2018! We had conference, annual general meeting, enjoyed opera moments, italian food, impressive tours in the eternal city and around. 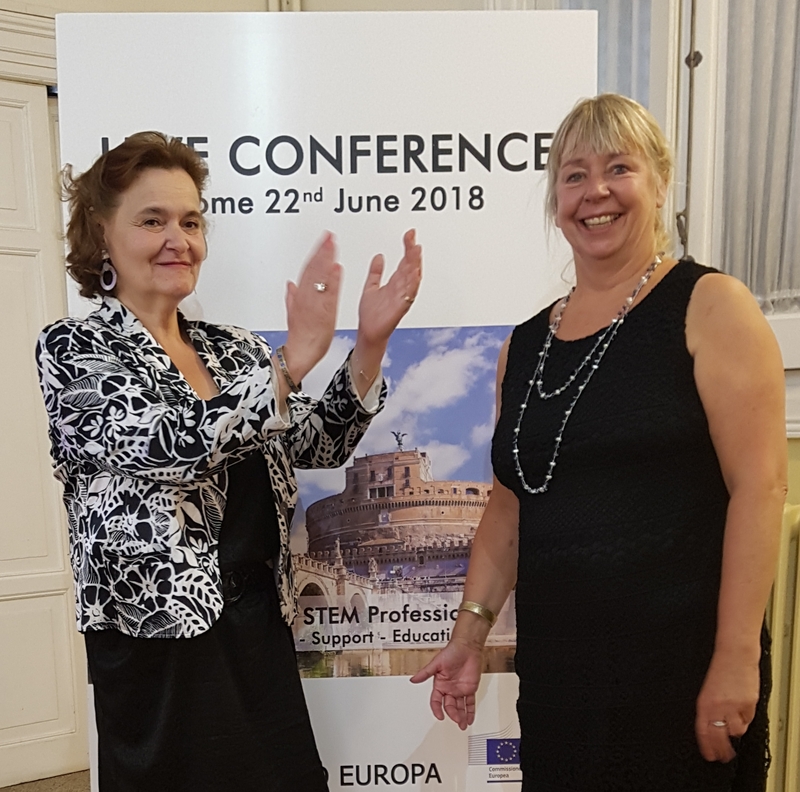 First day of the Conference, presidents of UWE and FILDIS welcomed almost one hundred university women at the beautiful building of Spazio Europa (European Parliament affiliated venue). Key note speakers, women in STEM professions were giving their speeches sharing the positive steps and highlighting the challenges on this important topic. In the afternoon we all continued with the workshops on solving the issues women are encountering in such professions and increasing women’s participation in science, technology, engineering and math with additional focus on how to create opportunities and assist systems for women in STEM professions. GWI President, Mrs. Geeta Desai, provided a video message expressing her concern about STEM fields becoming increasingly male centric, failing to serve half of the global population without female contribution, the overwhelming number of women who are currently unable to take advantage of STEM opportunities because, from an early age, they have been discouraged from studying these male dominated subjects. Next day at the AGM we enjoyed a very pleasant atmosphere, a new President Anne Negre giving a presentation and update about collective complaint on the pay gap has been elected , thank you Edith Lommerse for all your work and inspiration as UWE President. The delegates voted unanimously that I will stay for another 3 years as SG keeping up the good work the Board has done, thank you all for your trust, it meant a lot to me. Another special presence at this special reunion was Israeli delegates giving a wonderful speech about gender inequality. 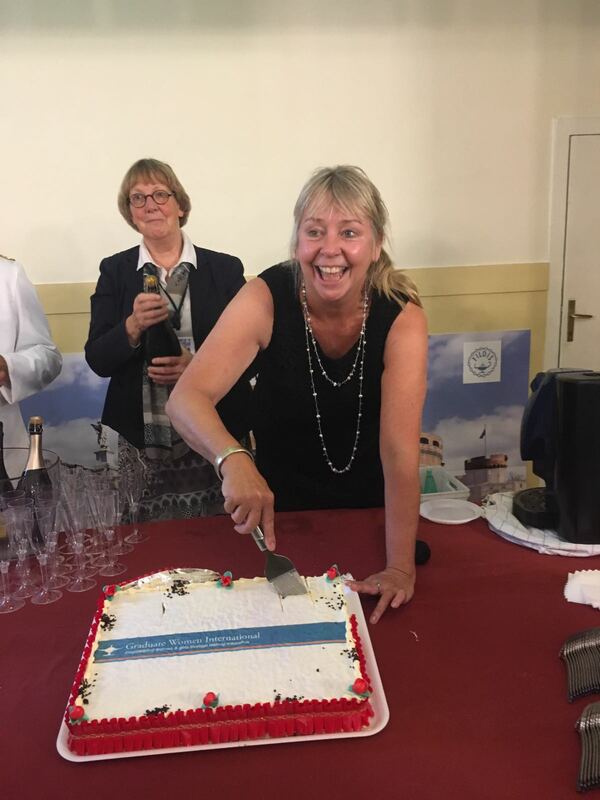 In the end we had a presentation and invitation from GWI announcing the 33rd Triennal and Centenary Celebration in Geneva Switzerland, followed by a prosecco break for 100 years of GWI. Later on we gathered for gala dinner on a wonderful luxury roof top one Michelin Star Restaurant to share impressions, gifts and say thanks to our host from Fildis: Gabriella Anselmi and Pina Foti. 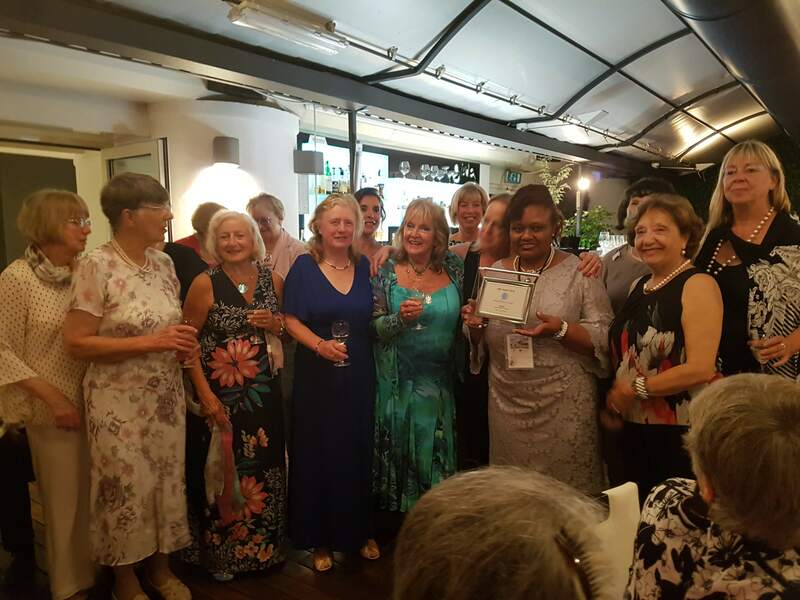 British Federation Women Graduates were awarded the prize of 2018 UWE Association of the Year for surviving for 111 years and providing hundreds of post graduate research scholarships to women since 1912. Congratulations and thank you all for being with us in Rome for another UWE Conference. 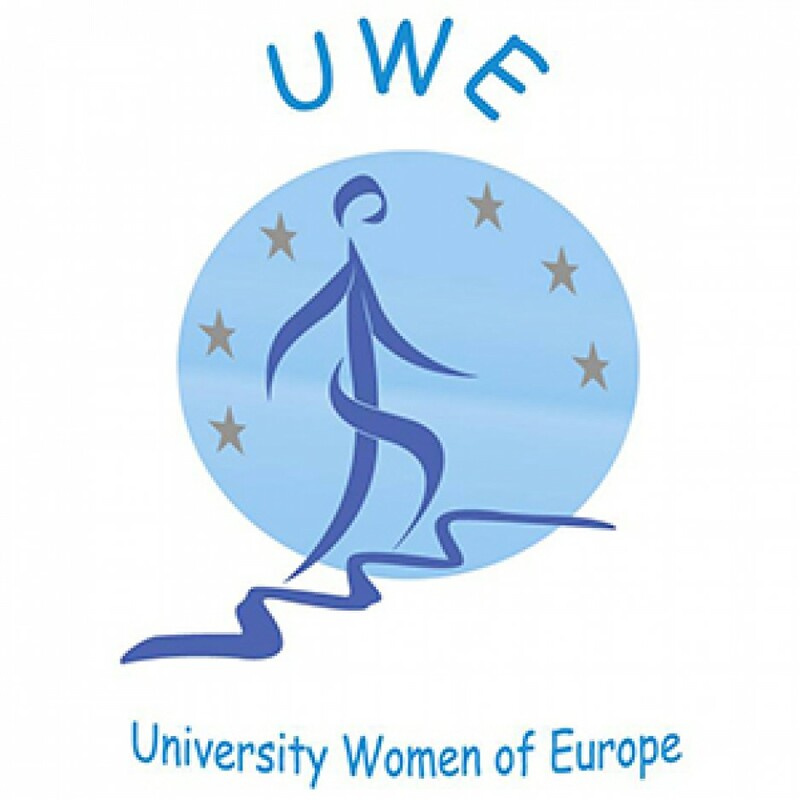 This entry was posted in Uncategorized and tagged 2018 UWE AGM, British Federation Women Graduates, Fildis, UWE Conference 2018.
glad to receive your feedback after the Conference, thank you! Only now I can give you an answer about Meet and Greet, Scotland is willing to organize it next year. Follow us for more information soon!